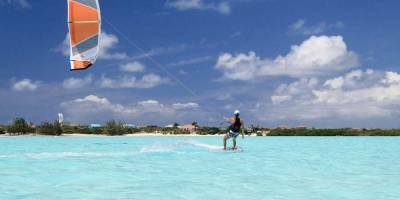 Kiteboarding in Turks and Caicos Islands Is A Great Adventure! 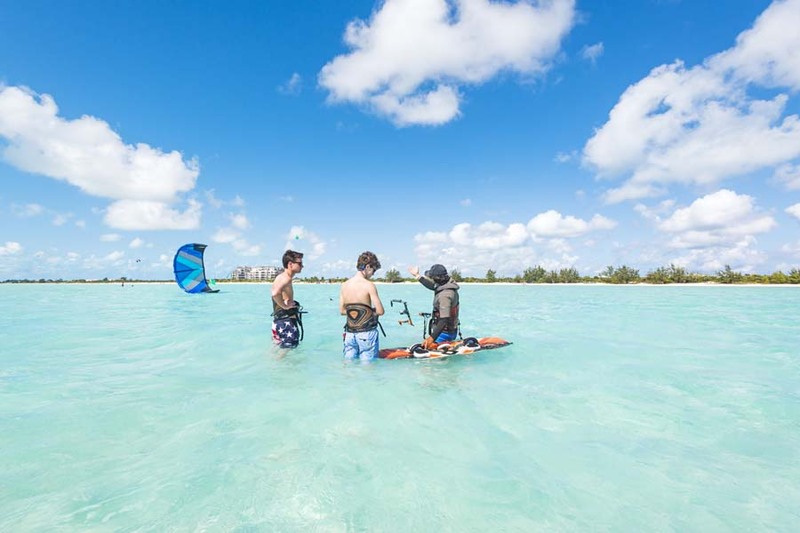 Come, learn and practice in the best and most valued kitesurfing school in providenciales! 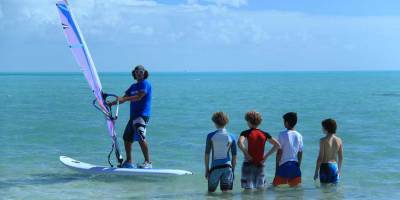 The trainers who serve at our institute come with international certifications. 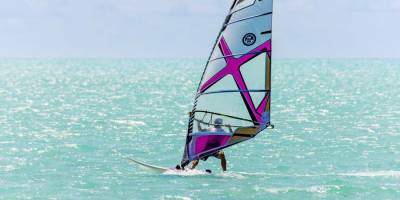 Therefore, all the training programs we offer are of high standards and results-guaranteed. 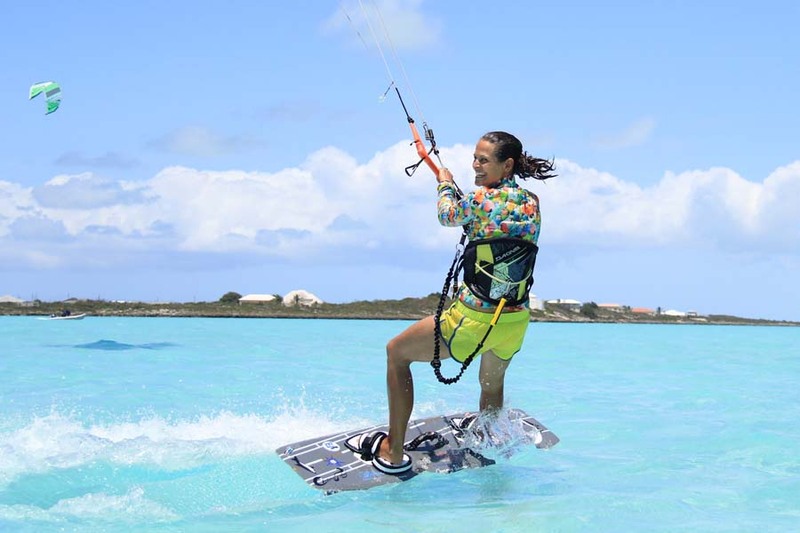 Robert Bedoya, our head instructor in Kitesurfing Turks and Caicos, possesses over 12 years of experience as a professional kite boarding specialist. 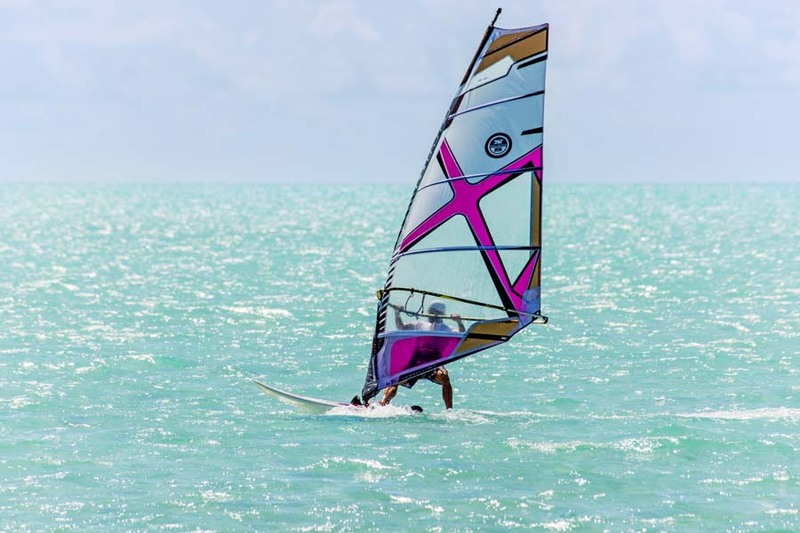 Moreover, he is recognized as a professional windsurfer for more than 20 years. 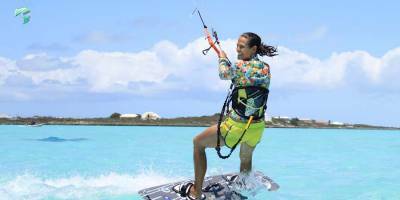 That explains why KitesurfTCI stands out as the most experienced, professional and qualified kitesurfing school in Providenciales. 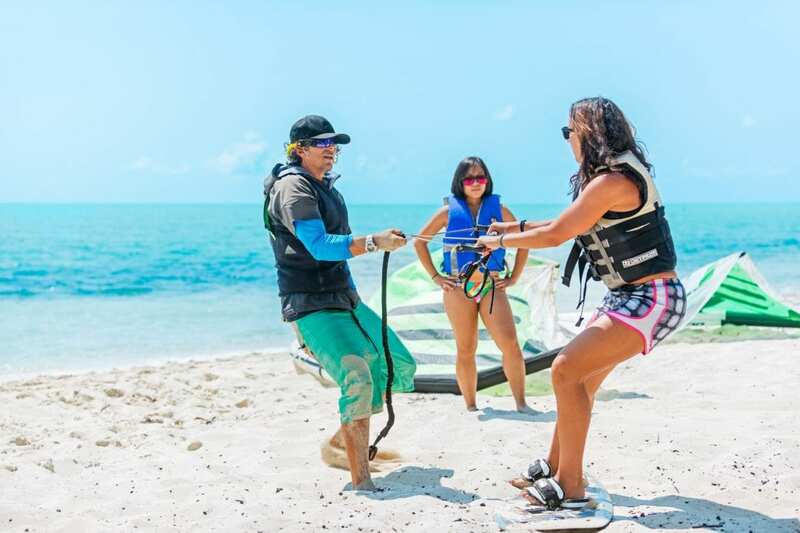 We’re all addicted to kitesurfing and can’t wait to share this sport with you! 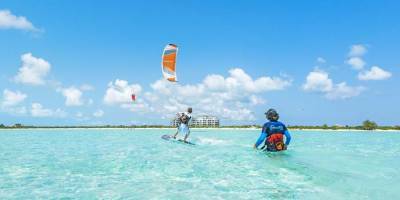 Learning how to kite in providenciales islands is a dream, this espectacular spot Is an exclusive and luxury destination. 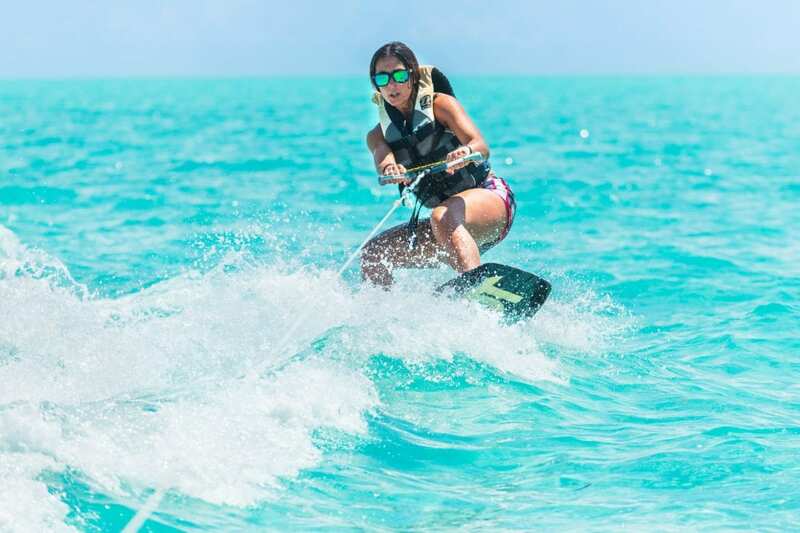 Turks Caicos Kiteboarding and other activities include Kite trips (kiteboarding charters), Stand-Up-Paddle boarding (SUP), kayaking, Windsurf lessons and rentals. best of all, there are no crowds in Provo. 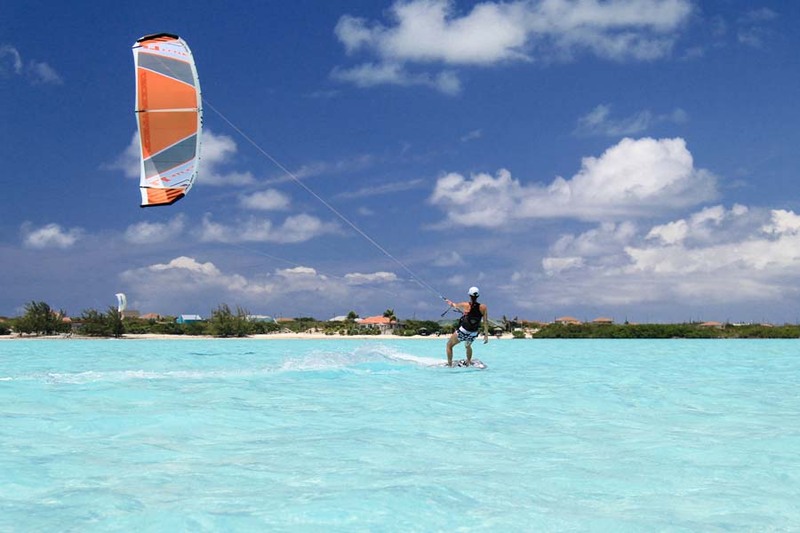 The most professional team and experienced Kitesurfing in turks and caicos and Providenciales. Contact us today! 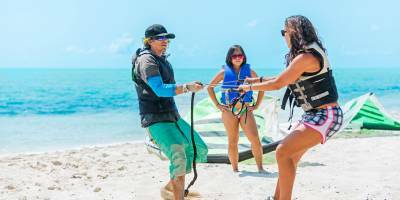 Our internationally recognized trainers are excited to offer their professional services to kite boarding enthusiasts across the globe. 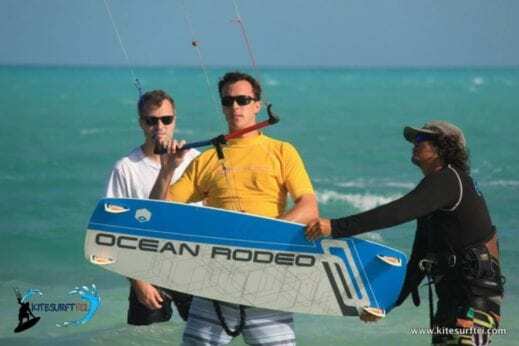 In fact, the backbone of our kite boarding company is our qualified, professional and experience staff. 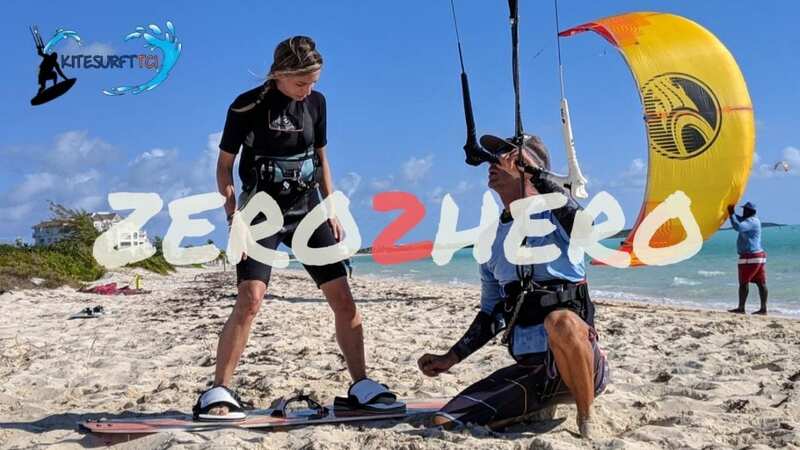 Just like the name suggests, “Zero 2 Hero” is a specially designed course for novice kiteboarders to explore the fun and excitement associated with kiteboarding. 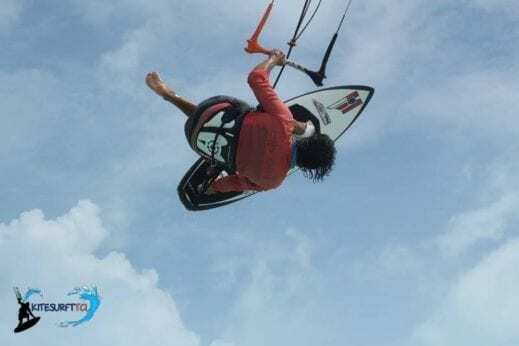 In fact, “Zero 2 Hero” is a basic course that covers the essentials of kiteboarding techniques. 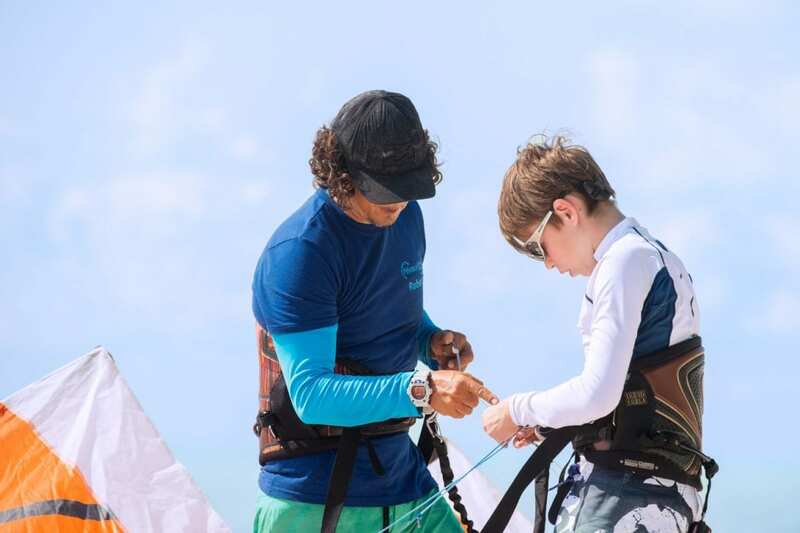 The course is designed to teach how to fly a kite properly with “safety first” concept in mind. That means, the school will teach how to fly a kite without any hazardous consequences. 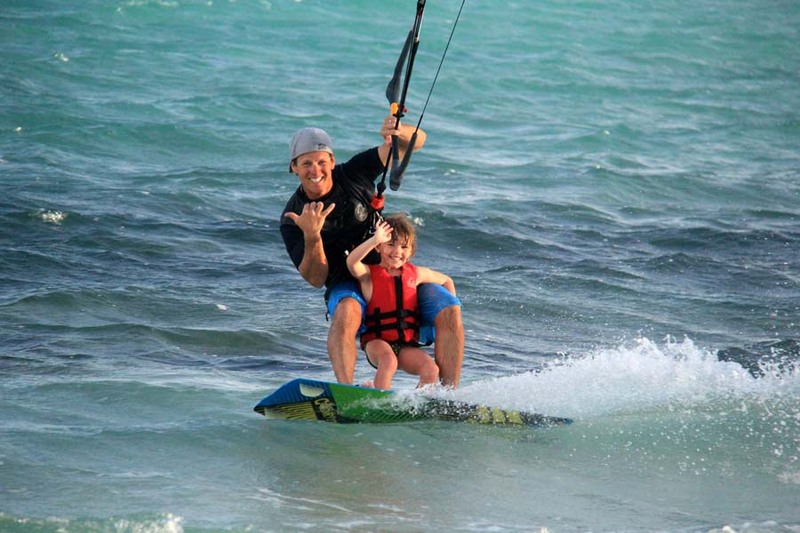 Any Kitesurfing enthusiastic individual in Turks And Caicos, between the ages of 5 and 70 can take our course. 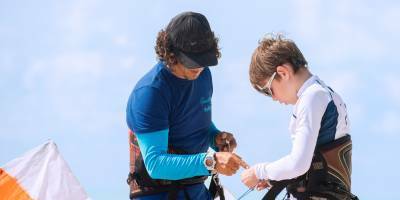 Your experience level doesn’t matter at all – our courses are tailormade to match different levels of expertise. 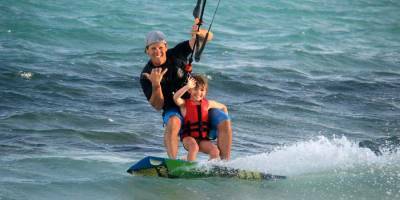 That means, we offer best kiteboarding lessons for both absolute beginners as well as for advanced individuals. 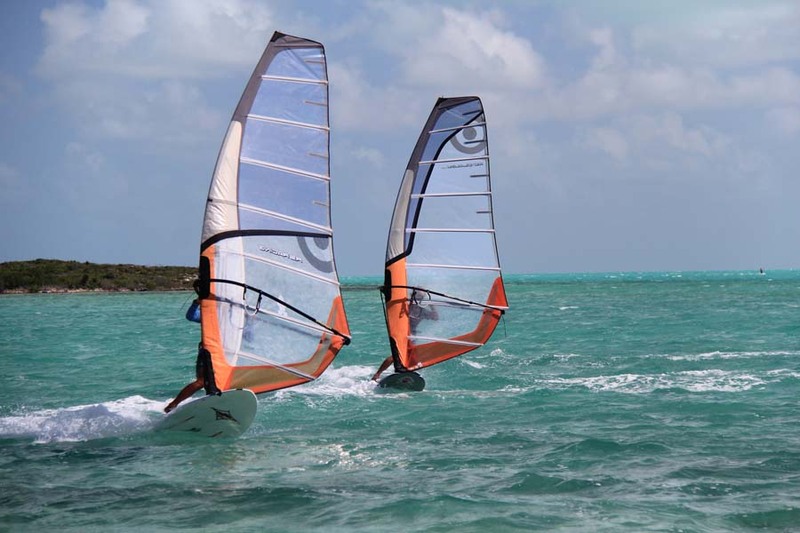 In fact, we are proud to introduce ourselves as the most diversified kitesurfing school in Providenciales. 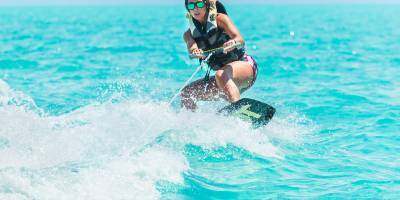 We offer a large range of courses under different levels to match the requirement of different individuals across the globe. 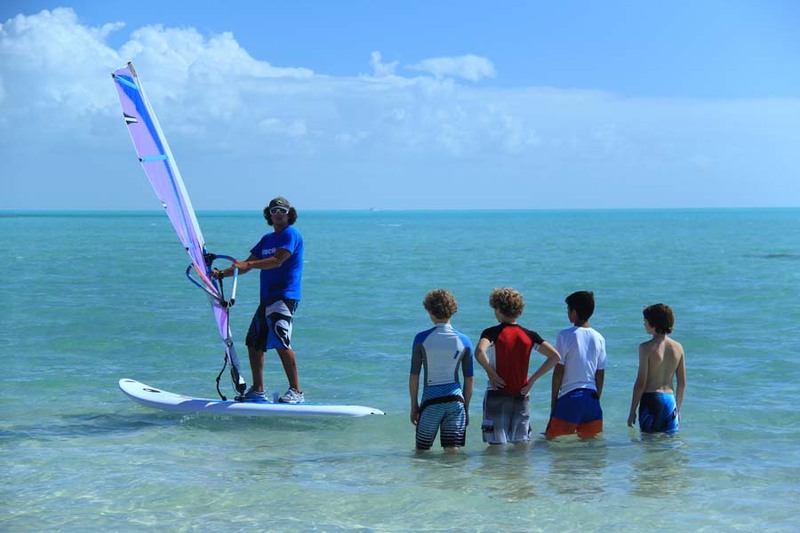 Windsurfing lessons, Stand-Up-Paddle boarding lessons, Kayaking lessons, and Kiteboarding lessons are among the courses we offer. More importantly, we take your freedom and privacy very seriously and therefore, we conduct our training sessions for small groups. 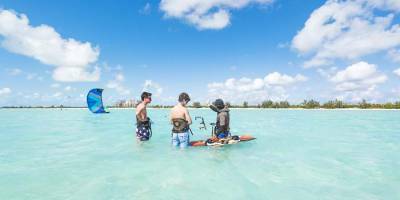 Best lesson I’ve ever had! Absolutely incredible experience with Robert. He is an incredible teacher and like nothing I have experienced before. 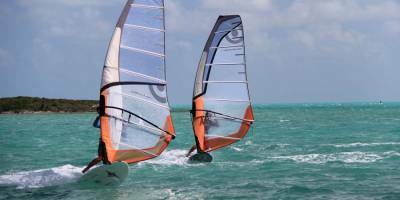 Robert will take you out of the busy bay area on a Zodiac so you are free to learn without fear or intimidation of other kiters. Awesome job Robert. Thank you! 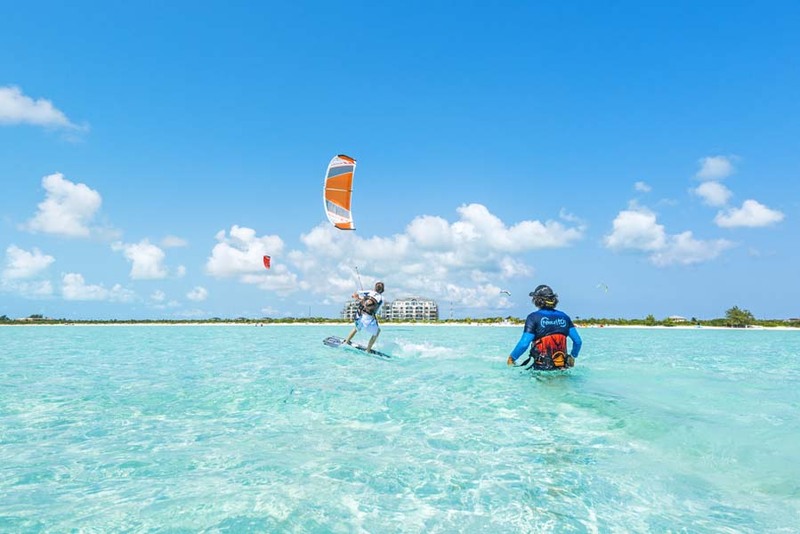 As we mentioned earlier, we offer a diversified range of services for those who are passionate about exploring the excitement and adventurousness of blue waters in Turks and Caicos.